I’m working my way out of a job. Don’t feel sorry for me. This is grand. I used to spend so much time every day putting together big meals. I’d make big meat and potatoes meals, with veggies and some sort of homemade bread like cornbread. 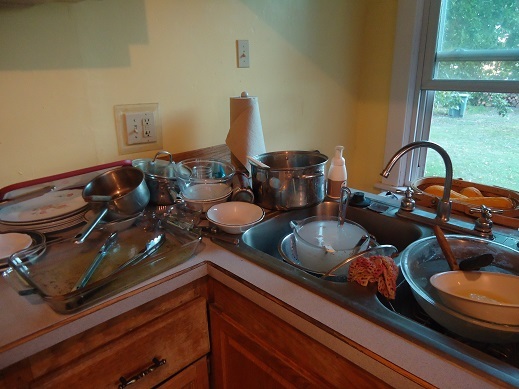 At the end of every meal, my sink would be piled with dirty dishes that would take quite a bit of effort to wash up. By the time that meal detail was behind us, it would be time to turn around and start over. Now, you know me. You know how much I love to cook and bake. But all the effort and all the dirty dishes was taking away the joy. Can I tell you something? Unless it’s Thanksgiving, it should NOT take longer to cook and clean than it takes to actually enjoy eating the meal you’ve lovingly prepared. No way, thank you very much. It’s deflating to spend an hour (or more) cooking a meal, then to watch my family devour it in fifteen minutes, then have to get up and scrub down a crusty kitchen. There is more to life than cooking and eating (says the girl who loves food). This recipe takes four ingredients. It takes five minutes of prep. You put it all in a skillet and let it cook itself while you do any number of other things you need or want to do. Stir ingredients together in a skillet. Cover and let meat cook on low heat for about 45 minutes to 1 hour, stirring occasionally. *Click here for our Italian Dressing Mix recipe. Can I give another plug for this amazing Cast Iron Skillet? What would I do without mine? 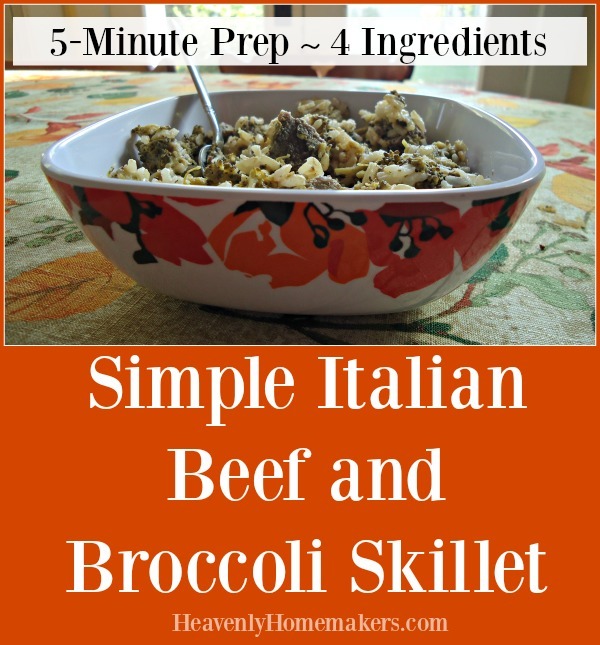 Want another easy skillet recipe? You’ll love Simple Skillet Taco Pasta. Let’s hear it for less time in the kitchen and more time enjoying family!!! If you haven’t already, you really need to join our amazing Simple Meals program. Get all the details here!